In warm climates, pool heating generally isn’t an issue, because cooling yourself down after a long, hot day is your main priority. But what about those places where there are many mild, cool or downright cold days where swimming in freezing water is a seriously unattractive option? And what if you don’t have the backup option of a hot tub? This is where an above ground pool heater comes into its own and can extend your family’s pool fun to just about the whole year round. Remember that the ideal temperature for most people is said to be around 77 F, or 25C, which of course you can vary according to your preference with a quality pool heater. Below are some of the best pool heating options to make sure you get the most out of your prime backyard investment. 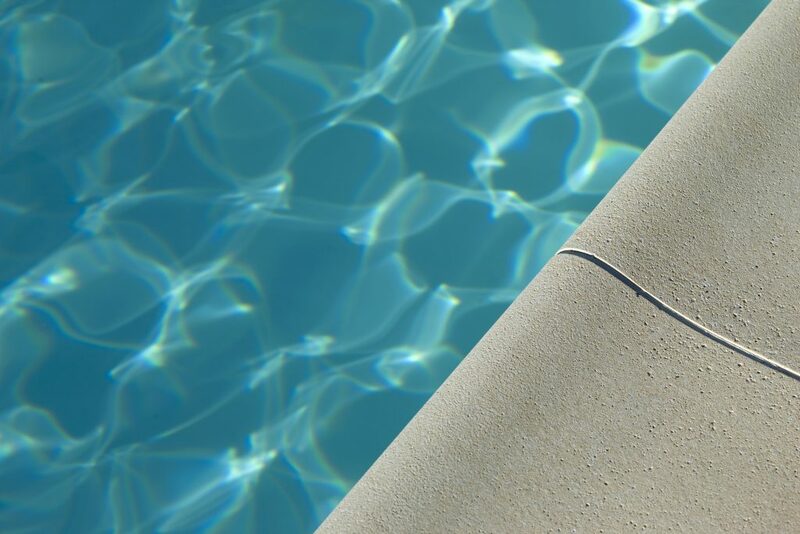 Before we have a look at the various pool heating options in detail, the first thing to do is make sure that the heat you DO have in your pool loses doesn’t escape to the surrounding air. Remember that even in summer, night time temperatures can plummet, so it is best to trap whatever heat you have collected during the day. The same rule applies whether it is free heat from the sun or heat you have paid for. This is where a quality pool cover can really help. They are a bit like a blanket on your bed, forming an insulating layer that keeps the warmth in and the cold out. An added advantage is that they also stop evaporation. But that’s not all. A solar pool cover actually soaks up the heat from the sun, even in winter, and can be quite effective in increasing the water temperature. This is sometimes referred to as passive solar heating and is one of the cheapest options for reducing heat loss as well as boosting water temperature. A good example is the Sun2Solar heating blanket which contains a myriad of small air bubbles to prevent heat escaping. These can be used on both above ground and inground pools and have good user reviews. If you decide to get a pool cover, one of the key factors in your purchase should be how easy (or difficult) it is to handle and store the cover. In general, the larger your pool, the more important it is to pick an option that minimizes the hassle and work involved. This is where a swimming pool cover reel can really help. The first option is to have a fixed reel at one end of the pool, mounted onto the tiles or whatever other surface you have around your pool. These are easy to install and very sturdy, but their main disadvantage is that you can no longer access the pool from that end. A more flexible option is to use a moveable pool cover reel that you can simply tow away to one side when it’s not being used. They usually have a light metal frame with wheels at one end so that you can move it quickly and easily. The cover is attached to a line of clips, which allows it to be retracted or rolled out with an even amount of tension. offer good value for people with pools 17.5’ ft – 21’ ft wide. Importantly, the PRO has an average 4 star approval rating from customers. If you live in a place which has a reasonable amount of sunlight, you can boost your passive solar heating with an active solar pool heating system. This involves pumping water from your pool into a solar heating panel on your roof. The water is heated by the sun and then recirculated back into pool. Many homes already use this form of heating for their bathroom and kitchen hot water needs, so it is not too big a stretch to imagine heating a swimming pool in this way. In fact, you can get a boost of around 10 deg F if you match the size of the panels to your pool volume. , for example, come in a wide range of sizes to match most backyard pools. You can even install them yourself if you are looking for an interesting and worthwhile home DIY project. If you live in a cooler climate where solar heating can be less reliable, a great way to keep your pool warm all year round is by using a swimming pool heat pump. A heat pump is usually powered by electricity. It extracts heat from the surrounding air using a fan and compressor, which can then be used to heat your pool water. Air conditioners and refrigerator use a similar technology. Surprisingly, there is always some residual heat that can be taken from the air, even during winter. The great advantage of a heat pump is that you can use a thermostat to set exactly the temperature you want and maintain it at that level. If you combine it with a pool cover, you can get some really good results. Like all things, you get what you pay for, so don’t be tempted to take a cheap shortcut when it comes to heat pumps. You may save a few hundred dollars, but you could also have to deal with lower reliability, higher energy costs and noisier operation. Remember also that it can take a up to a day to get your pool to the right temperature, so a bit of planning is required. have a good reputation and are worth a look if you decide to head down that track. Using gas as a pool heating source is good if you have cheap or reticulated gas supplies in your area. A standalone heater will be in the $1,000 to $2,000 range, a bit cheaper than a heat pump, but equally as useful in terms of maintaining a constant temperature. Their main advantage over a heat pump is a quieter operation. Also, make sure you choose one with low nitrogen oxide emissions so that their environmental impact is low. generally report a 4 star user experience, so that is a reasonable place to start your search. In conclusion, whichever style of pool heating you use, be it solar, heat pump or gas, there is a good solution to suit your personal needs and budget, especially when combined with the energy conservation benefits of a solar pool blanket. This entry was posted in Swimming Pools on by Luke.